Set in the shifting landscape of contemporary China, this riveting, richly imagined collection explodes the country's cultural and social fault lines, revealing a nation accustomed to bitter struggle and the stranglehold of communism as it confronts a generation rife with the promise of unforeseen prosperity. A wealthy factory owner-once a rural peasant-donates repeatedly to earthquake relief efforts, but digs in his heels when government pressure requires him to give even more; a marginalized but powerful Uyghur gangster clashes with his homosexual grandson; and a dogged journalist is forced to resign as young writers in "pink Izod golf shirts and knockoff Italian loafers" write his stories out from under him. With spare, penetrating prose, Livings gives shape to the anonymous faces in the crowd and illuminates the tensions, ironies, and possibilities of life in modern China. As heartbreaking as it is hopeful, The Dog marks the debut of a startling and wildly imaginative new voice in fiction. 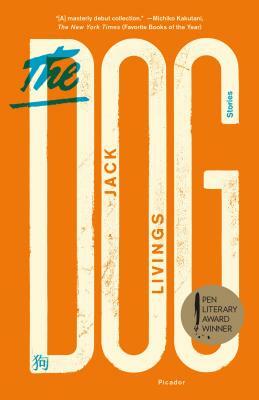 Jack Livings is author of The Dog, which was awarded the 2015 PEN / Robert W. Bingham Prize for debut fiction. The Dog was named a Best Book of the Year by the Times Literary Supplement, and The New York Times critic Michiko Kakutani included the book as one of her ten favorites of 2014. Livings' stories have appeared in A Public Space, The Paris Review, StoryQuarterly, Tin House, The New Delta Review, Guernica, Best American Short Stories, and have been awarded two Pushcart Prizes. He is a graduate of the Iowa Writers' Workshop and was a Wallace Stegner Fellow at Stanford. He lives in New York with his family and is at work on a novel.